The plein air painting season has at last got going here, with fine, warm, and very sunny weather. I am starting this year with some guidelines to try to discipline myself more. First, to try to keep to simple motifs rather than getting embroiled in vast, complex landscapes. Second, to keep well within a couple of hours painting time, so that I do not get bogged down in detail. Third, to focus on making marks where appropriate. Here is yesterday’s result, just over an hour of painting time using those wonderful QoR watercolours. Howard Oakley, Stag-head Horse Chestnut, Spring (2015), QoR watercolour on Hahnemühle Andalucia (rough) paper, 24 x 32 cm. © EHN & DIJ Oakley. In case you doubt me over mark-making, here is some detail. 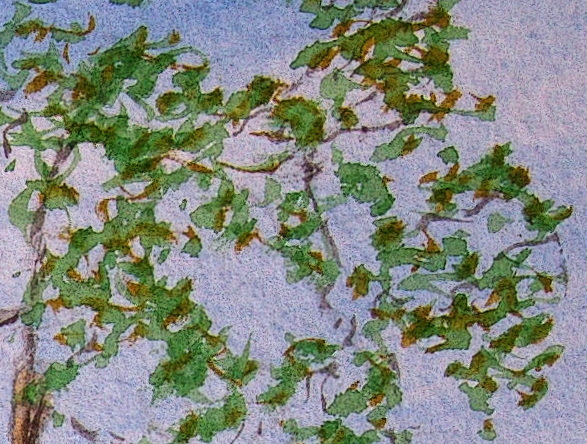 Howard Oakley, Stag-head Horse Chestnut, Spring (detail) (2015), QoR watercolour on Hahnemühle Andalucia (rough) paper, 24 x 32 cm. © EHN & DIJ Oakley. This tree used to be one of a pair, straddling a bridleway which runs over what used to be Appuldurcombe Park, the deer park surrounding Appuldurcombe House. Sadly the other tree was falling apart and the weather finally forced it to be felled. It too is advanced in years and has already lost its crown and several of the larger limbs. Despite that it is one of the first trees to make it to full leaf, as seen here. 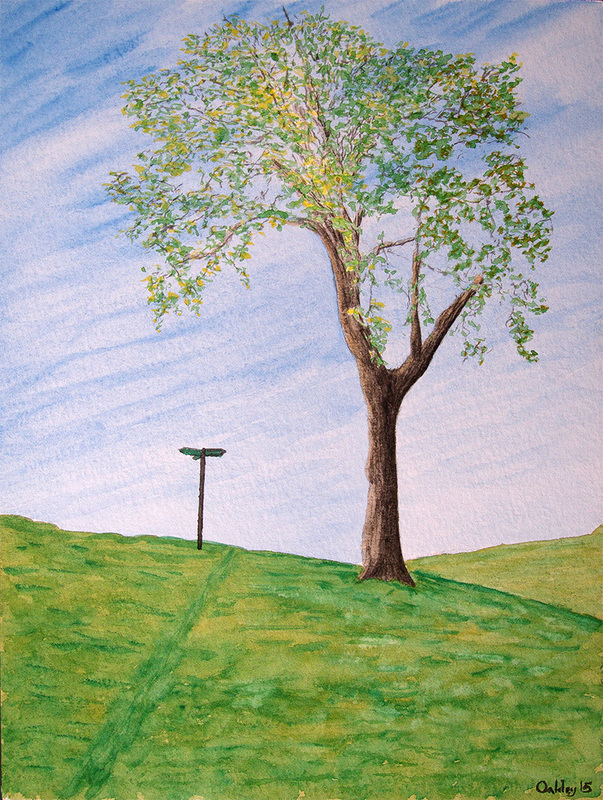 Posted in General, Life, Painting and tagged mark-making, painting, plein air, QoR, watercolour. Bookmark the permalink.